Music boxes make the perfect gifts for music lovers. 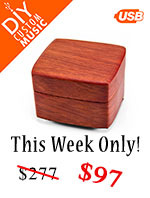 Here at Music Box Attic, you can choose from our incredible list of song selections to customize your own music box. We carry 18, 22, 30, 36, 50 and 72 note movements. You can sample our song selection by visiting our online listening station. Whether you are purchasing a music box for yourself or as a gift, you can be sure that it will be cherished for many years. 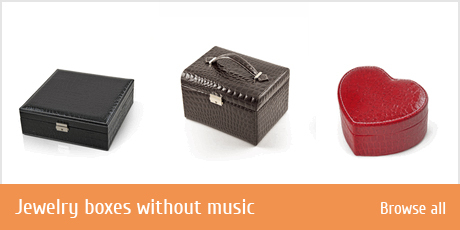 You can choose from over 1,000 different styles of music boxes on our website. 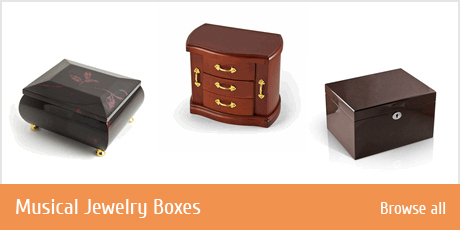 We feature the most well-known and high-quality brands of music boxes available, including Symphony, Le Ore, Reuge, and MDS Prestige designs. Some of our customers are interested in cylinder style music boxes, which are the original design for music boxes. 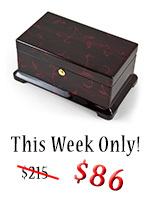 We also carry the updated, disc style music boxes, which can play more tunes, for a longer period of time. 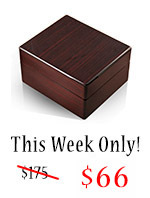 Our music boxes are made from high-quality woods that are either painted or have a glossy finish. Wood options include elm, burl-walnut, pine, and mahogany. Some of our music boxes have fabric coverings, stained glass, or inlaid designs on the outside as well. Most are lined with soft velvet on the inside compartments. Many different music box themes are available. Some theme options include holiday, patriotic, floral, sports, ocean, love, dance, cinema, nature, and children's designs. Ballerina music boxes are one of our most popular choices. Music boxes with artistic inlaid designs are also popular as collector's items.